FIFTY founding members of the new 5th Wiltshire B-P Scout Group in Ludgershall have been invested in a special ceremony. 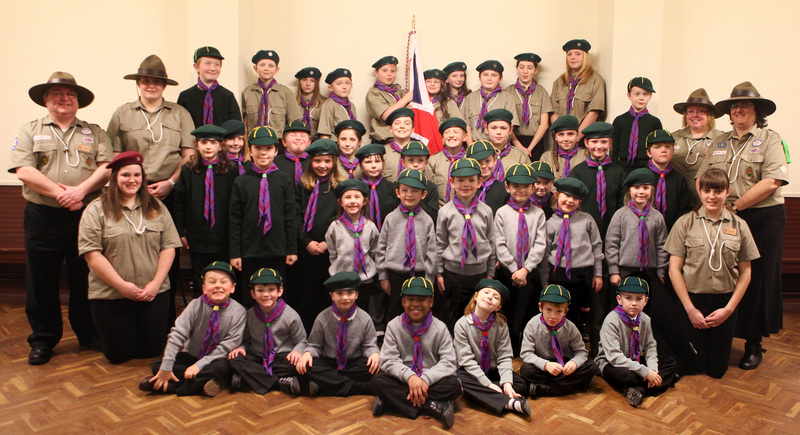 The Baden-Powell Scout Group, which marks the return of Scouting to the town for the first time since the 1990s, was launched in November, and is based at the Ludgershall Memorial Hall. The evening, which saw 50 young people aged six to 17 invested, together with adult leaders, started with a blessing of the group’s new formal Union Flag by the Reverend Malcolm Freeman. This was followed by the leaders, Beavers, Wolf Cubs and Scouts saying their promise and formally joining the group. Scoutmaster Colin Stevens said: "Since we started, the demand for a local group has been much higher than even our research had shown. “We filled up within a few weeks of opening and are now working on adding to our leaders and helpers team so we can grow a bit more. The group, which provides traditional Scouting in Ludgershall, Tidworth, Collingbourne and the surrounding areas, is planning to open two older sections for Senior Scouts, those aged 15 to 18, and Rover Scouts for adults 18 plus. The Baden-Powell Scout Association uses the latest kit such as lightweight tents and solar powered torches, but use the traditional ideas of founder Robert Baden-Powell as the basis for their programme. Mr Stevens said: "Those within the town have warmly welcomed the new group as there is so little for youngsters to do despite the town growing so much over the past 20 years. “Aside from financial and moral support we've also had offers of equipment and several former Scouts stepping forward to act as instructors. “There's a number of other B-P Scout groups in Wiltshire we'll be working with to provide outdoor activities including the Duke Of Edinburgh awards and first aid at work level training giving young adults some extra zip to their CV and university applications."